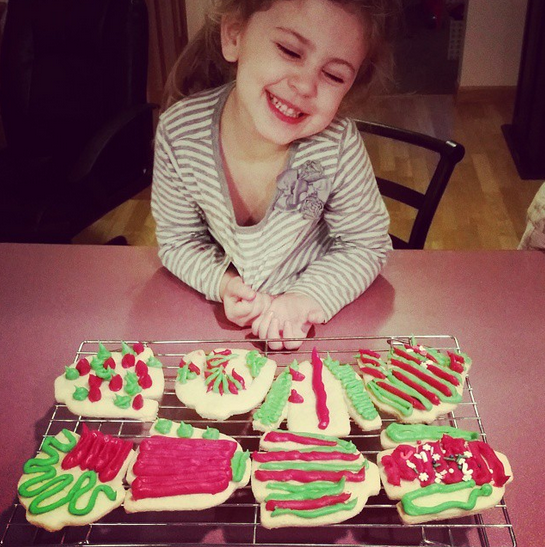 Fun Holiday Cookie Mixes Review PLUS a Giveaway! Right away my 3 year old started asking about the gingerbread cookies. I told her they were called Ninjabread Cookies and she started cracking up! She thought they were the coolest thing in the world. She wanted to make them right away, but we did not have any honey in the house. 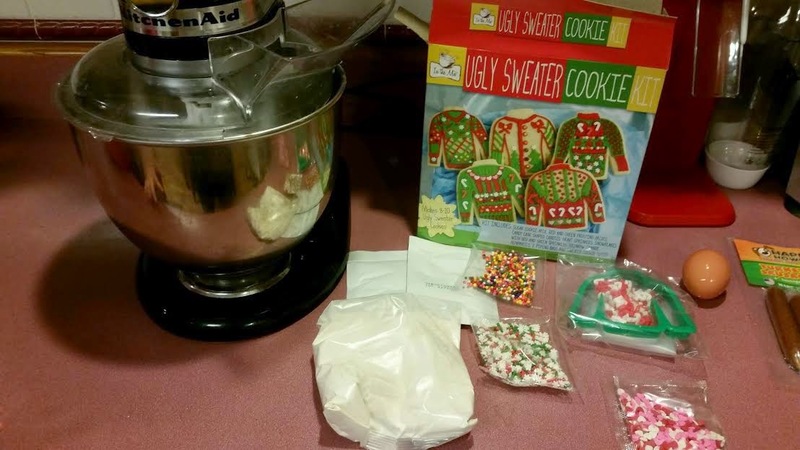 So instead, we made the Ugly Sweater Cookies first. We had so much fun baking them and decorating them together as a family. And they were just delicious! 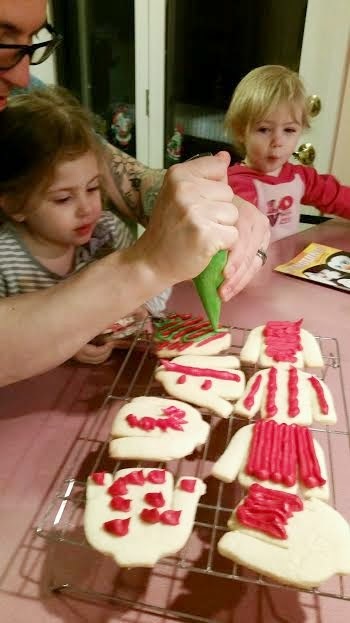 We made the Ninjabread Cookies a few days later and they were just as fun to decorate! 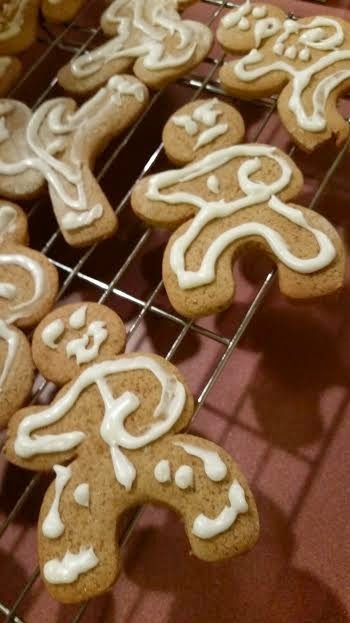 My youngest has now learned to say ninjabread and I am willing to bet that is what she is going to call gingerbread cookies for a long time to come! We have yet to make the Star of David cookies – taking a break from sweets after this holiday! But we will be making them soon and I am sure they will be just as yummy! Both of these kits made baking these cookies super easy! They come with every nonperishable thing that you need and the directions are printed right on the back. That was really nice because I didn’t have to open up the Ninjabread Cookie Kit to discover that I did not have all the ingredients, I could just check the back. These kits come with the cookie cutters and frosting mix as well! They really have everything but the eggs and butter. Oh, and the powdered sugar for the frosting. In the Mix has so many other fun dessert mixes – browse their website here. Purchase yours from Amazon and make your Holiday treats the talk of the town! 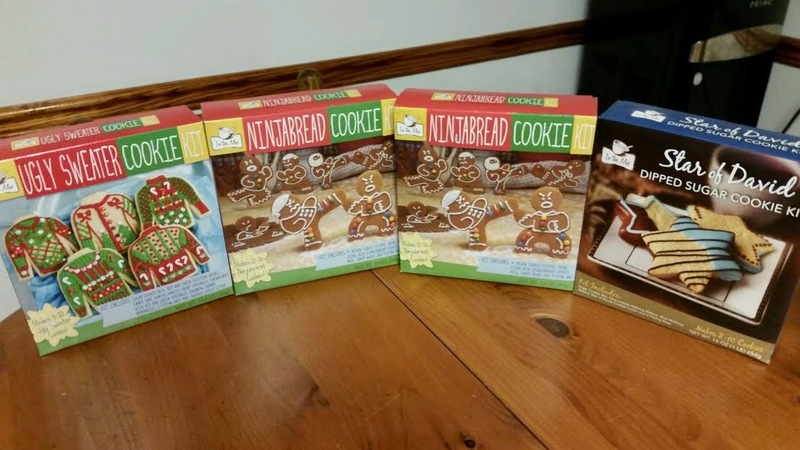 Enter to #win your own In The Mix Ninjabread Cookie Kit using the Gleam form below! Be sure to check out my other giveaways while you are here and GOOD LUCK! I received these free in exchange for my honest, unbiased review. All opinions expressed are 100% my own. Love Cooking – Baking Products You Cannot Live Without! 3 Ways to Add Welch’s Christmas Fruit Snacks to Your Holiday Celebrations! Sweet Treats for Your Holiday Season! I don't get the chance to bake much any more, but I miss making an old Polish family recipe called Kifle (Key-flee). My mom and I would make DOZENS of these cookies every year. It was a fun way to spend a snowy Saturday afternoon with my mom and I loved the closeness we had from doing that! I love cheesecake and make an awesome on for Christmas every year. I love to make new cookie recipes! This year we tried pumpkin cranberry and pumpkin chocolate chip! Both fabulous! I love to make 7 layer bars. Thank-you so much for making these so easy to enter!!!! 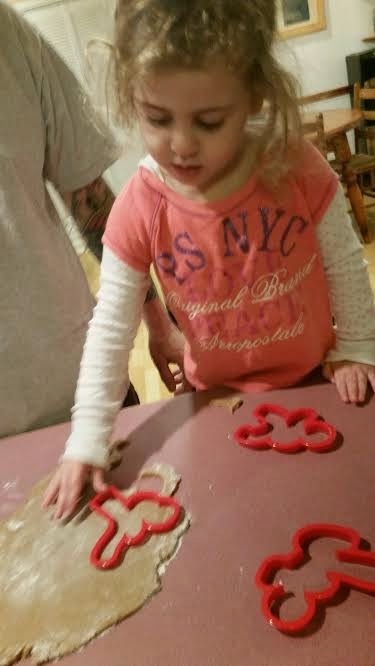 We love baking sugar cookies!